Have a hard time getting kids to eat veggies. My daycare kids eat this a couple times a month, and love it. 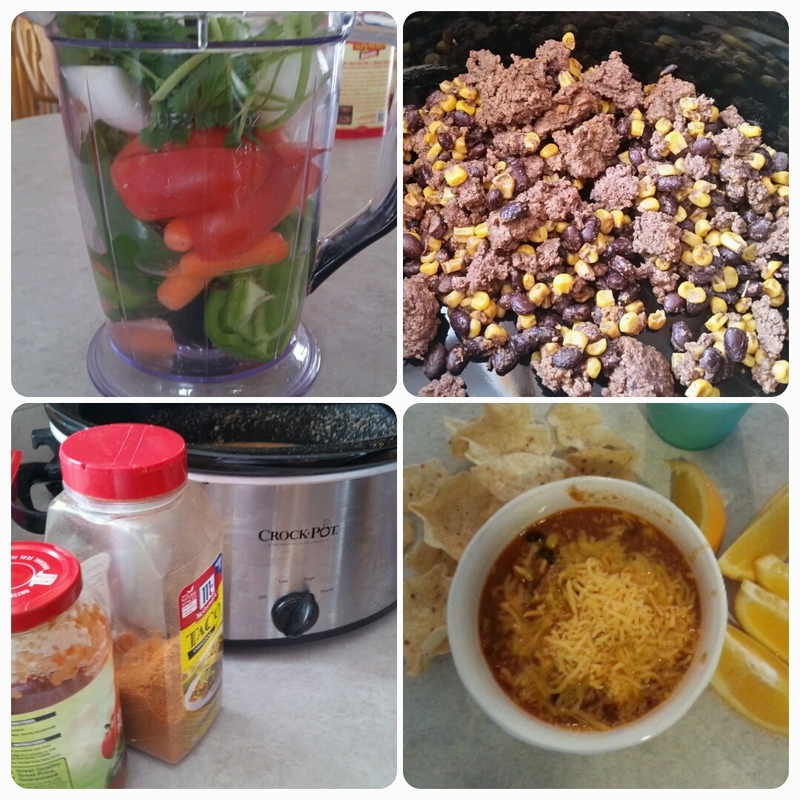 All the veggies I had on hand blended together. Cook tell hot. I let cook on high for a few hours.